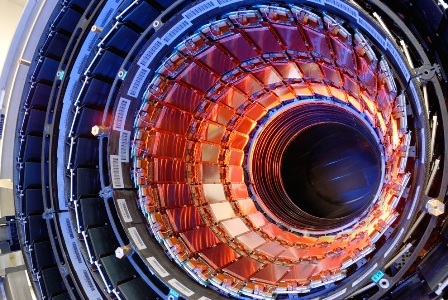 The Large Hadron Collider at CERN in Switzerland is looking for a theoretical particle called the Higgs Bosun. CERN’s website says, “This idea provided a satisfactory solution and fitted well with established theories… The problem is that no one has ever observed the Higgs Boson in an experiment…” This reminds me of leadership in the leisure field: a good idea in theory but never seen in the everyday world. Way back when I was starting out in this field of work, there was an organisation called the Association of Recreation Managers. We realised that we were breaking new ground so the association was formed to disseminate best practice, to encourage the development of young managers and to bring people together to enhance our professional status. We were lucky to have such forward-thinking people in the organisation as George Torkildsen, Roger Quinton, Bill Breeze and Ted Blake. Where are their equivalents today? Above all we had a true leader and figurehead in Jimmy Munn. First of all in Torfaen and then Birmingham, Jimmy put municipal leisure at the centre of local political life. It is arguable that without Jimmy the NEC, National Indoor Arena and Birmingham Concert Hall would never have been built. At any gathering of leisure professionals Jimmy would be there holding court and expounding his views on the importance of leisure and the need for continued investment. Whenever there was a threat to leisure or an opportunity to be exploited Jimmy was there in the press making sure that leisure’s voice was heard. Jimmy Munn was leisure. On the back of this any number of leisure officers were taken seriously enough to rise to be chief executive of their council. Leisure management was seen as a good professional grounding for high office. Contrast that with the current situation. How many people can name the chair of Sport England, the chief executive of ISPAL or the minister for sport? It is the same in the private sector. Apart from Duncan Ballantyne, who has achieved fame in another way, I defy anyone to name a leading figure at one of the major players such as LA Fitness, David Lloyd or Virgin. Who do the papers or TV immediately turn to for a well-informed and articulate quote? When the cuts were announced a couple of weeks back there simply was not any reported outcry. There was no leader providing a loud and consistent message that this was wrong. No one who pointed to the consequences and started to lead the struggle for scarce resources. No one put their head above the parapet. In short, no leadership. This reflects a number of structural faults in the leisure sector. Over the years we have been let down by the leisure institutes being too concerned about keeping people out who are not ‘qualified’ rather than encouraging people in. It is why there is only a fraction of practising managers who pay to join. We are now chasing the chimera of chartered status (incidentally, I hear that the privy council ain’t too impressed with the submission) to show that we are a real profession. We are not, simply because there is no exclusive set of knowledge or skills needed to become a leisure manager in the way that medicine, law or architecture has. Nor can we discipline or expel someone from practice if they are not up to scratch. So what is to be done? If ISPAL (or whatever it is to be called in the future) or Sport England are too inward looking or supine to make a noise perhaps we have to do it ourselves, directly and loudly. We are fortunate that we have the means at our disposal to do it if enough people are so inclined: it is called the internet. The growth of social networks, such as Facebook, and immediate access and response techniques, such as Twitter and blogging, mean that we have the means to make a fuss instantaneously without waiting for our leaders to do it for us. Perhaps this is the role for The Leisure Review, to be a campaigning website for leisure rather than the online equivalent of Liz Terry. The best leisure operations have always been fast on their feet, responsive to changing market conditions and in tune with what their customers want. We need the same as an industry. How about it, Leisure Review? Why not a simple website with basic facts and figures on the size shape and scope of the industry, for example, the number of jobs in the sector. Then lots of links to similar websites and information sources. Above all, a lively and authorative blogg and leisure forum for the exchange of information, ideas, comments and complaints. If we get this right it could become the first port of call for anyone from outside looking for well-informed information or response. If the school sport partnership is under threat, who is there to state the industry’s point of view? Sue Campbell was obviously not independent but she should have been supported long and loud by any number of senior figures from across the sector. That she was not shows the vacuum to be filled. Go to it, The Leisure Review, and all of us who care about the future. Jim Lynch is director of Ploszajski Lynch Consulting Ltd.